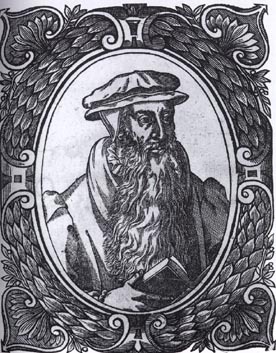 John Knox, the man who would become one of the most powerful preachers of his time, fighting what he believed to be idolatry with fierce and thundering sermons, was born in Haddington, a small town south of Edinburgh in East Lothian. He studied theology at St. Andrew's University, ministry being the only career option at the time for a person who was academically inclined. Rather than take up parochial duties, however, Knox worked as a notary for a few years before becoming a tutor for the sons of two local lairds, Hugh Douglas of Longniddry and John Cockburn of Ormiston. Knox lived in turbulent religious times. The Scottish landowners were increasingly upset with the Catholic Church, which owned more than half the nation's real estate and garnished an income greater than the crown. Clerical appointments were often political, meaning that men in the church hierarchy did not always strive to be moral examples for the laity. Cardinal David Beaton, the archbishop of St. Andrew's, openly consorted with prostitutes and fathered ten illegitimate children. 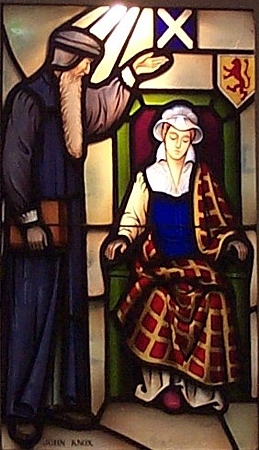 So when the new ideas of the Reformation came to Scotland from the Continent, many lairds and nobles, including the two for whom Knox worked, embraced them. There is no record of when or why Knox converted to the Protestant faith, but George Wishart, a wanted "heretic" who preached reform ideas throughout Scotland, undoubtedly played a key formative role in Knox's thinking. When Wishart came to East Lothian, he and Knox formed a close association; Knox even acted as one of his personal bodyguard, defending him with a two-handed claymore. It did not last long. In December 1545, Cardinal Beaton had Wishart arrested for heresy; he was taken to the Castle of St. Andrews, where he was prosecuted, convicted and burned at the stake in the presence of the cardinal. A few months later, in May 1546, a group of five Protestant lairds infiltrated Beaton's residence (the Castle of St. Andrew's) and assassinated him in retaliation for Wisart's execution. The men seized and garrisoned the castle while sympathetic friends and family members took refuge with them, swelling the ranks. The fathers of Knox's pupils, Douglas and Cockburn, were among the rebel nobles, and they sent for Knox to come to the castle to continue instructing their sons in reformed doctrine. Knox arrived at the castle in April 1547. Knox's abilities as a preacher called the attention of the garrison chaplain, John Rough. While Rough was preaching on the Protestant principle of the popular election of a pastor during Sunday service, he asked Knox to take up the office as pastor for St. Andrew's. At first, Knox was shaken and reduced to tears at the thought; but within the week he gave his first sermon. In this context he laid down the thesis that would serve as his foundation for the remainder of his life: all ceremonies conducted without express Biblical warrant were idolatrous, including the celebration of Mass. Knox, however, was not to serve in this capacity long - the castle capitulated under siege to France, who had come by request from the Queen regent, Mary of Guise. Some occupants were imprisoned while others, like Knox, were taken as galley slaves. "Sometime I have thought that impossible it had been so to have removed my affection from the realm of Scotland that any realm or nation could have been equally dear to me. But God I take to record in my conscience that the troubles in the realm of England are double more dolorous unto my heart than ever were the troubles in Scotland." 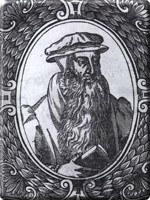 Knox learned about Presbyterian polity and gained a deeper understanding of Reformed theology from John Calvin in Geneva before heading to Frankfurt to head the English refugee church there. Liturgical differences, however, ended his association with the Church of England, and Knox returned to Scotland to inspire Protestant fervor in 1555. The atmosphere was decidedly different than it had been when he left his homeland on a galley ship almost a decade ago: Protestants had redoubled their efforts; reformed congregations were cropping up all over the country. He spent nine months delivering fiery sermons across the country and was warmly received by many nobles, including two future regents: James Stewart, 1st Earl of Moray, and John Erskine, 17th Earl of Mar. Knox's growing popularity concerned church officials, who viewed him as a threat to their authority. But when they summoned him to appear in Edinburgh, so many important nobles accompanied him that the hearing was dropped. Knox was then able to preach freely and openly. William Keith, the Earl Marischal, was so impressed that he urged Knox to write to Mary of Guise, the Queen Regent, encouraging her to support the Reformation and overthrow the church hierarchy. Mary, however, thought the letter was a joke and dismissed it. After spending nine months in Scotland, Knox returned to Geneva where he lived a happy life as a preacher for the next two years. Then, at the end of 1558, Elizabeth Tudor succeeded Mary I as the monarch of England. With a Protestant on the throne, English refugees in Geneva prepared to return home; Knox went back to Scotland to fuel Protestant militancy. Two days after his arrival in the spring of 1559, Knox delivered an anti-Catholic sermon in Perth so violent that it ended in a riot. Mary of Guise moved in with a small army while Knox removed himself to St. Andrew's; looting and vandalism continued to follow his fierce sermons. By the end of June, Mary had retreated to Dunbar and Protestants held the capital. Knox anticipated Mary's search for French aid, so he negotiated support from England. Scottish nobility formally deposed of Mary as regent in October 1559 after French ships arrived at Leith. Mary's secretary defected to the Protestant side and garnered support by appealing to Scottish patriotism to cast out the French. English troops joined the Scottish Protestants that spring. 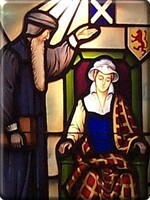 When Mary died suddenly in June 1560, Protestantism was secured in Scotland. The Treaty of Edinburgh ended hostilities and removed French and English troops from Scotland. Parliament then reconvened on 1 August to settle the national religious issue. The first necessity was to ratify the new Scots Confession of Faith, which Knox and five other ministers drew up in four days. Parliament then passed acts that abolished papal jurisdiction in Scotland; that condemned doctrine and practice contrary to the reformed faith; and that forbade the celebration of Mass. Theological matters closed, the next task was to delineate ecclesiastical structure of the new Kirk. Again Knox and his colleagues were consulted to write The Book of Common Order and the First Book of Discipline, both of which cast Scotland's Kirk in Calvinist- Presbyterian line. It would be democratic, with each parish free to choose its own permanent pastor. Each parish was also to be self- sustaining as much as possible, and bishops were replaced with ten to twelve elders - a practice which led to the concept and installation of nationalized education with universal access. Knox lived the remainder of his life as the minister for St. Giles Cathedral in Edinburgh, preaching and writing his magnum opus, the History of the Reformation in Scotland. Controversy was not behind him, however. Several times over the next decade he spoke out against Mary, Queen of Scots, with whom he had a tenuous relationship (in a meeting between them, he agreed to live under her rule as long as her subjects found it convenient; he then compared his situation to the Apostle Paul having lived under the rule of Emperor Nero). McCrie, Thomas, Life of John Knox, William Blackwood & Sons: Edinburgh, 1850. p.371-2.